A Sarawak politician is unimpressed by the recent announcement made by Prime Minister Dr Mahathir Mohamad that Sabah and Sarawak will definitely be given a 20% oil royalty but the calculation will be based on profits instead of gross sales. Speaking to FMT, Parti Pesaka Bumiputera Bersatu (PBB) vice-president Karim Abdul Rahman Hamzah said Mahathir had got it all wrong and his announcement of 20% royalties from profit will not go down well with the people in both the Bornean states. “Royalty is a payment made to a legal owner of properties while profit is a financial benefit realised when revenue from a business activity exceeds the expenses, production cost and tax. “In this case, Dr Mahathir is only trying to please oil-producing states by usage of the word ‘royalty’ and further saying that the royalty is increased to 20% of profit,” he said. 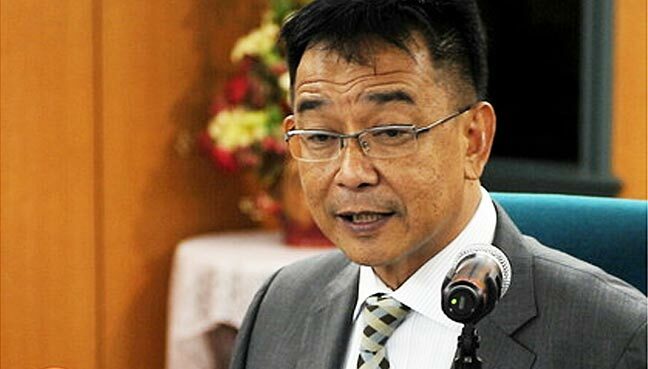 The Sarawak tourism, arts, culture and sports minister explained that there is a big difference between the existing deal Sabah and Sarawak have been receiving, which is 5% of gross sales, and the one Mahathir proposed to give. Royalty from the profits, he said, means the value after deducting production cost, taxes and other expenses. The danger, he warned, is that production cost figures are subjective to many interpretations as this could include salaries of executives, travelling, entertainment cost and taxes, among others. “Only after all these deductions will the 20% stake come about. It might even be a zero amount or less than the 5% cash payment given now. “What is promised in the Pakatan Harapan election manifesto is 20% royalty and not 5% as it is now. “This 20% should be counted based on production, not profits,” he said. Meanwhile, federal de facto law minister Liew Vui Keong urged Petronas to explain the terminology “profit” and “royalty” to the people to avoid unnecessary confusion and anxiety. “We have yet to hear from oil and gas experts. “The value of 20% from profit could be more, but I don’t want to speculate about it yet,” the Parti Warisan Sabah permanent chairman said. At the same time, Liew urged all parties not to come to any conclusion until Petronas itself came out with an official statement on the issue. What is important, he said, is that the government had agreed to give 20% royalty to all oil-producing states. “We will have to work on the dynamics to see how much Sabah will get out of the new deal. “I don’t have the figures on Petronas’ profit yet. This is something that I will look into,” he said. BN Sarawak had for decades refused to acknowledge that since the enactment of PDA74 the 5% payment to Sarawak was cash payment equivalent to half the cash payment paid by Petronas to Putrajaya.